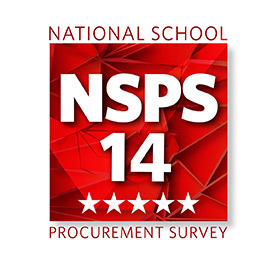 School business managers, headteachers, bursars and governors in state and independent schools across England are being invited to take part in the National School Procurement Survey (NSPS14). The survey runs until Friday 11 July and will add to the detailed national picture of the procurement practices of schools first revealed by last year’s inaugural survey. Results of NSPS14 - which will be completely anonymous - will be shared with schools, education policy makers, unions and education suppliers in the autumn. The survey has been developed by Incensu.co.uk, the National Register of Education Suppliers. It is being backed by Incensu partners the National Association of School Business Management (NASBM), TheSchoolBus, Minerva Procurement Consulting and Zenergi. The National Association of Headteachers (NAHT) and the FD Forum are also supporting the survey. The online survey can be accessed atwww.incensu.co.uk/nsps14.